A new retro Kickstarter has come to life called Grave Danger. 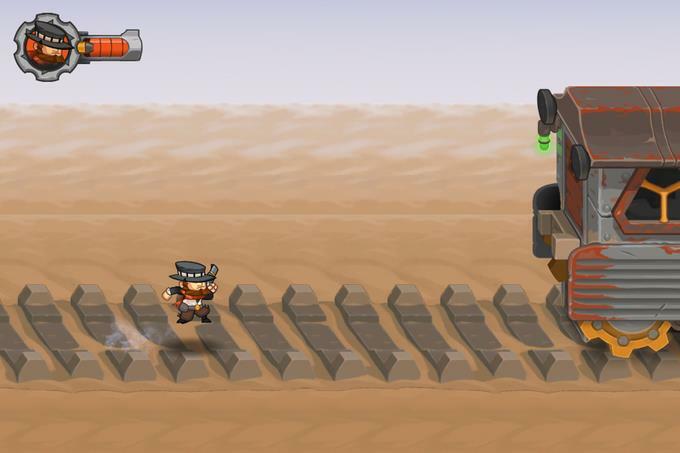 Developed by JB Games, this is a 2D platforming love letter to classics such as The Lost Vikings. In it, you control 3 distinct characters with unique abilities you’ll need to use to survive dangerous puzzles and threats. 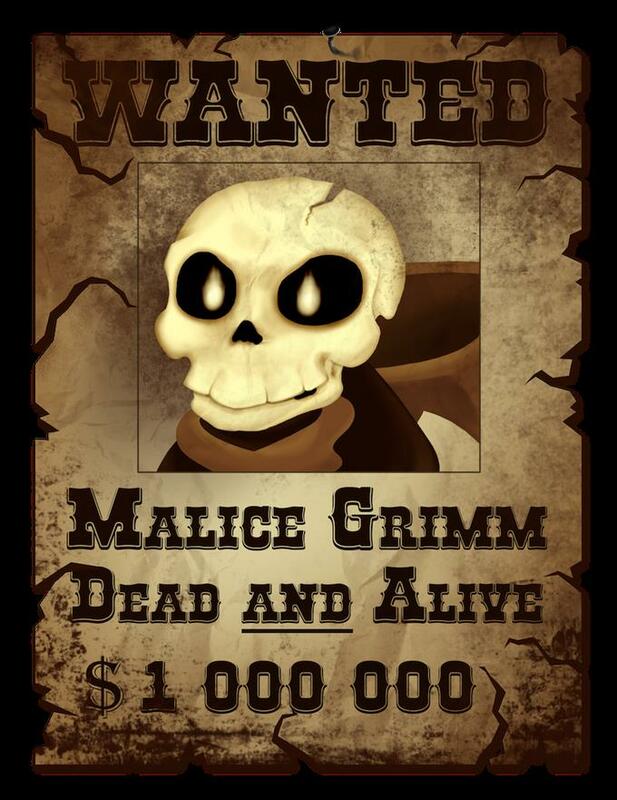 Set in a campy world aesthetically inspired by Castlevania, your trio of characters are all wanted criminals. Best of all, it has been approved for development on XBox One, PS4 and Wii U, as well as coming to PC, Mac and Linux this October 31st. 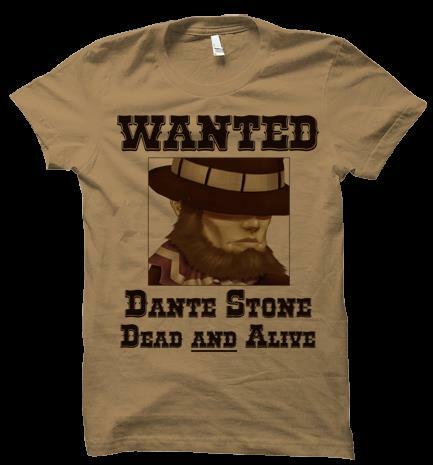 The three protagonists at your disposal are Dante Stone, the cowboy; Elliot Riddle, the wizard and the cadaverous Malice Grimm. Depending on who you’re controlling, you’ll have access to a wall jump, mid air hover or double jump, as well as other tricks up your sleeve. 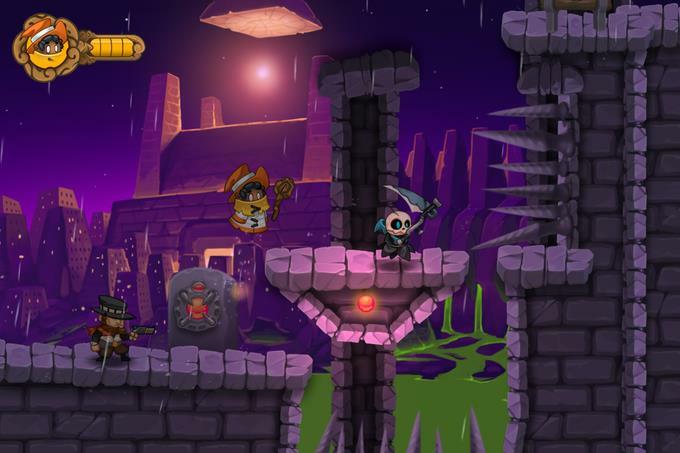 One cool twist is that Grave Danger, unlike The Lost Vikings of yore, will support single player as well as co-op play. Though the base goal necessary for completion of the game is $35,000, they are also offering various rewards to motivate players. There are some noteworthy pledge tiers, as well. For $12 you get the basic vanilla digital copy of the game for PC or consoles, as well as your name in the credits; $30 also gets you your name immortalized on a tombstone in game; $40 gets you a sweet looking T-shirt as well as the previous rewards; and for $200+ you get to actually design a quest in the game. Grave Danger is also offering several stretch goals to incentivize players. If the game makes it to $45K, they are adding a fourth playable character; $60K will unlock remote co-op, letting you play with your friends online; $80K would unlock further character and world expansions, bringing it to 5 playable characters and 7 distinct worlds; and finally $100K will make it so each world is bookended by massive boss fights. I think Grave Danger definitely has promise, and it’s good to know that JB Games has past experience in the mobile markets. If you’re curious about what the game has to offer, make sure to check out the official website, Kickstarter page and trailer below! Here’s hoping it gets enough attention to get funded in the next 29 days.